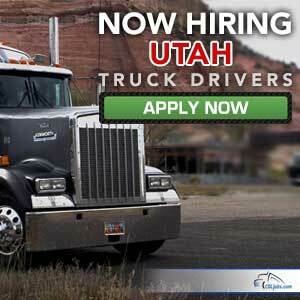 When you're hauling over the road, you don't want to waste time scouting for new trucking companies hiring in Utah. Looking for trucking jobs while you need to make money seems backwards doesn't it?! Fortunately for you, CDLjobs.com is the best website to find truck driver jobs. We post new ones daily. With the number of trucking jobs available, you'll have your choice among flatbed trucking jobs, or any other type you may choose. We do this work for you all free of charge because we want you to succeed in your trucking career. Once you have chosen which companies or which specific truck driver jobs you desire, just complete and submit our easy and secure one-page application. CDLjobs.com is the website truckers use when they need to find the best jobs with the best trucking companies.